Is work every day bent over. “The Ballad of the Short-Handled Hoe,” written by Guadalupe Serna and recorded around 1970, became a rallying cry for farmworkers across the country. Its focus on the tool’s damage on the manual laborer is emblematic of the hardship farmworkers faced in the fields. Using the short-handled hoe required users to bend over and caused severe pain and debilitating spinal injuries. At 5 years old, Guadalupe’s son Francisco Serna joined countless other child laborers in the fields. At the age most kids begin learning to read, Serna spent hours under the 105 degree Texas heat picking cotton, tomatoes and bell peppers. This story is just one of many. Nane Alejandrez also spent his childhood in the fields, alongside family members and other child laborers. As a teenager, Alejandrez worked as a melon pitcher. Forming a human conveyor belt, workers bent over, picked up melons and tossed them to the next worker in line until they were tossed into a machine that washed and cut them. While working in the melon fields, Alejandrez heard a voice on the radio he carried. It belonged to Cesar Chavez, leader of the United Farm Workers union (UFW). “He influenced me to call for justice for farmworkers,” Alejandrez said. 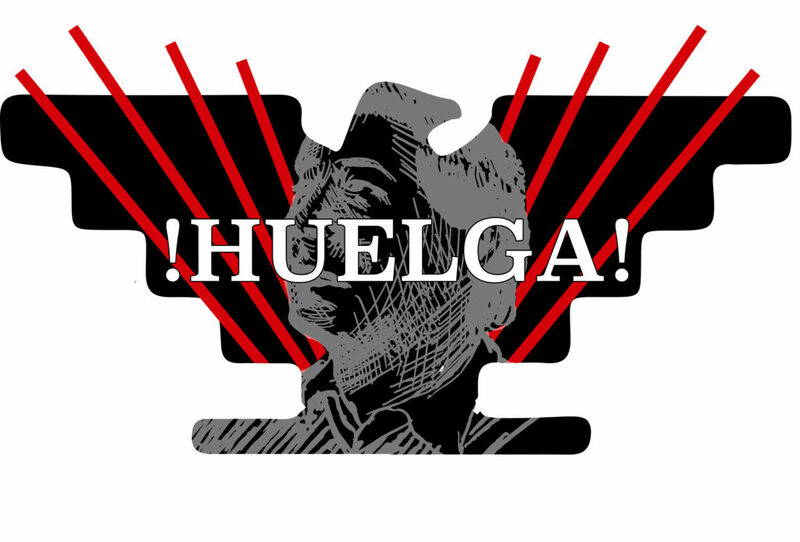 In September 1965, National Farm Workers Association (NFWA), founded by Chavez, voted to join with the largely Filipino union, Agricultural Workers Organizing Committee (AWOC), in a strike against Delano farms to demand higher wages and better working conditions. The next year, the two unions came together to create UFW. On May 4, 1976 Chavez and the farmworkers’ movement came to Quarry Plaza at UC Santa Cruz for the second time in three years. After thanking family, UCSC students and other organizations for their support, Chavez told the story of the UFW’s ongoing fight for equality. “We organized the first strike, the grape strike in Delano,” Chavez told the crowd. Chavez said the movement wouldn’t have gotten off the ground without students’ help. During the movement’s infancy, many people were unsure about supporting the farmworkers’ cause. Even the church didn’t know what to make of them. The grape strike lasted five years, during which Chavez helped place the plight of farm workers at the forefront of America’s conscience. He worked closely with Robert Kennedy and Martin Luther King Jr. who gave Chavez words of encouragement and showed solidarity. But before these heavyweights joined Chavez, UFW activists and farmworkers, the movement had a fervent ally in California college students. “The only ones who didn’t question us and helped us were the students,” Chavez said in his speech at UCSC. UFW initiated an international grape boycott in 1967, and three years later added lettuce and Gallo wine, citing similar mistreatment of farmworkers. They negotiated with California grape growers on union contracts that included a health plan and clinic, credit union, higher wages and a union-run hiring hall. By 1970, they had 50,000 dues-paying members. Chavez and the farmworkers found support and encouragement on UC campuses. At UCSC, students rallied around the farmworkers and picketed outside local stores, organizing meetings on campus and advertising for help in City on a Hill Press (CHP). An op-ed by CHP staff in 1973 urged the student body to support UFW and participate in boycotts. Fliers from 1971 publicized meetings at Merrill College, a speech by UFW leader Dolores Huerta and rummage sales and food drives to help farmworkers. At the same time, workers like Nane Alejandrez and Francisco Serna left the fields and ventured into a new line of work — student activism. During one of Chavez’s trips to California labor camps, he visited the Serna family, who traveled along the migrant trail from Texas to Salinas Valley looking for work. Francisco Serna joined the farmworkers’ movement after Chavez’s visit. A lead UFW organizer, Serna also worked as Chavez’s assistant and bodyguard and with the union’s legal branch “Legal Eagles.” Before attending UCSC in 1976, Serna’s last job with UFW was to provide security for Chavez and Ted Kennedy at the farmworkers’ convention in Fresno. Serna worked with UCSC’s Education Opportunity Program (EOP) and served as director of the Beach Flats Community Center. Chavez’s words reached laborers throughout the country, inspiring demands for equal pay and safe working conditions. Chavez motivated a 17-year-old Alejandrez to organize a strike with seven fellow farmworkers, shutting down the machines used to cut, wash and package melons. Of all the workers who manned different stages of melon picking, melon pitchers’ jobs were the lowest paid of them all at $1.65 an hour. “From then on, for myself, I have taken on social issues,” Alejandrez said. During his time at UCSC, Alejandrez founded Barrios Unidos, a youth violence prevention organization. He has gone on peace delegations around the world with the United Nations. “When I came to campus, my activism didn’t stop,” Serna said. Though Serna said he didn’t meet many welcoming professors, those who were welcoming made a lasting impression on him. Looking at UCSC activism now, Serna says the issues are different, but Chavez’s general message remains as relevant today as in the 1970s. That message is one of collective action and hope for the future. “You cannot take the activism we took up. That was our battle. You gotta take your own,” Serna said. Students at UCSC are heeding this advice and cultivating new ways to continue Chavez’s legacy on campus. Current student Andres Arias uses UCSC’s research capabilities to do what he calls “engaged scholarship.” Through the Working for Dignity project, Arias and other students found that over 56 percent of Santa Cruz low-wage workers are Latinx. Over the years, the concentration of Latinx workers in the service sector has grown. It is an area of employment with low wages and few benefits. “It went from agricultural work to service sector work,” Arias said. “The vision of Cesar Chavez is something we’re still fighting for through the work that we’re doing.” The Working for Dignity researchers found patterns of wage theft, discrimination, harassment and unsafe or unhealthy working conditions. They work to provide a record of these violations and inform workers of their rights. UCSC has held a convocation in the memory of Cesar Chavez for the last 12 years to highlight leaders who preserve his message through community engagement and activism. Serna is looking to the next generation of UCSC students to continue building on Chavez’s message. The 13th annual Cesar Chavez Convocation will be held May 18 at the College Nine and Ten Multipurpose Room at 7 p.m.